Earlier this month, Tesla confirmed that it is currently working on increasing its production plans to minimize the wait for the Model 3 following the storm of reservations it received for the $35,000 all-electric sedan – approaching 400,000 cars as of the latest update. The vehicles are set to be manufactured at Tesla’s main factory in Fremont, California. 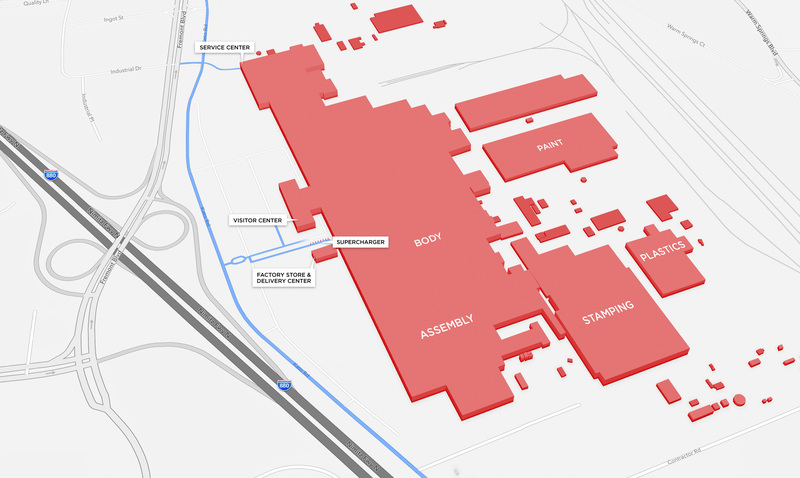 While Tesla plans to manufacture about 90,000 vehicles in 2016, the company always refers to the Fremont plant’s total capacity to be around 500,000 cars per year once optimized, which is what Toyota and GM were producing when they owned the factory, and it also plans to add more manufacturing capacity in other regions. “We’ve doubled production capacity each of the last several years and we will continue doubling – and one of the focus points for the entire company is making sure that we are ready to deliver Model 3 on time. Following McNeill’s comment, a Tesla spokesperson told us that “600,000 per year” was a mistake and that “there has been no change” to the factory’s planned capacity. The company is expected to achieve the full capacity of the plant around the end of the decade – or about 2 years into the start of the Model 3 production. The Fremont factory is one of the biggest buildings on earth with 5.3 million square feet of manufacturing and office space. Tesla has also been acquiring more space in Fremont to expand its manufacturing capacity in the region. It also operates a tool and die facility in Michigan and a final assembly line in Tilburg, Netherlands. As for China, McNeill said that Tesla’s next vehicle factory could “very well” end up in the country. Recent reports suggest that Tesla executives visited locations in the Suzhou region and talked to potential manufacturing partners. Earlier this year, Tesla CEO Elon Musk confirmed that the automaker plans on securing a location and a local partner for a manufacturing facility in China by the middle of the 2016. An announcement should be expected relatively soon. While Tesla needs to partner with a domestic manufacturer to establish production in China, it will be able to avoid high import duties, have access to more EV incentives and free up production capacity in Fremont for local demand.